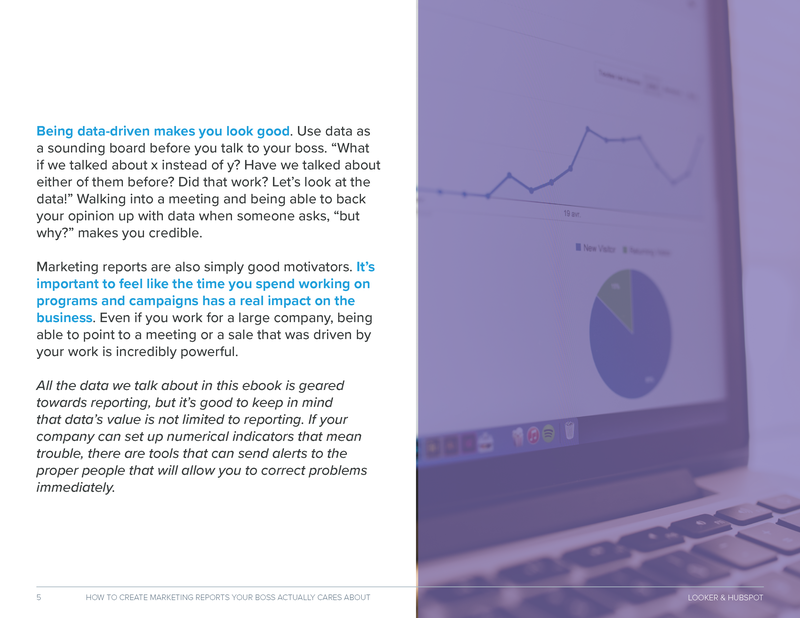 Learn how to analyze your data to create a report that's repeatable for every month. If you’ve ever created a marketing report from scratch, you probably know that it’s not an easy task. From starting with raw data to figuring out what is actually the most useful information to show your boss, gleaning the most important insights when you’re starting from nothing is a tough job. 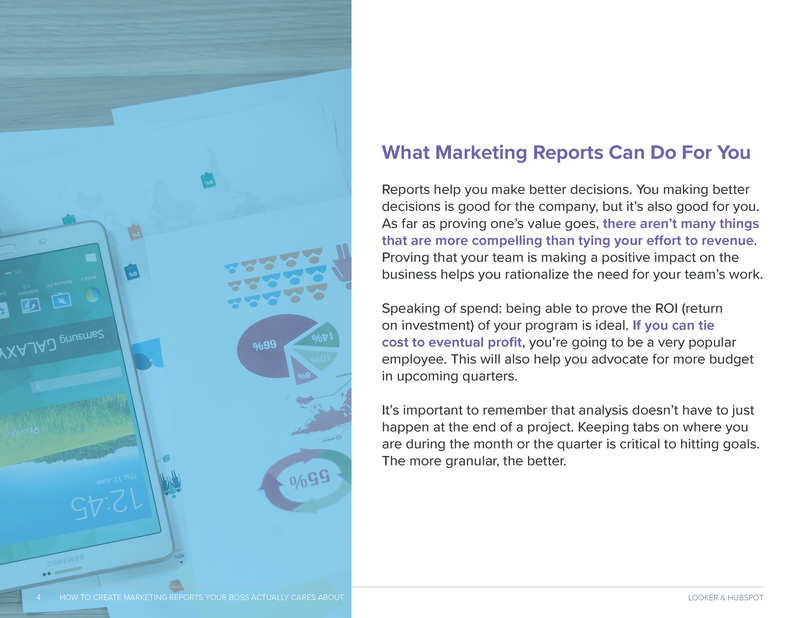 Marketers from HubSpot and Looker — two teams who live and breathe marketing and reporting - created this guide to help make your job easier. 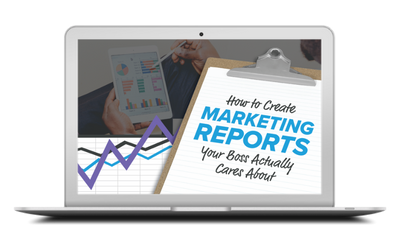 We know how difficult it can be to create marketing reports that your boss will actually care about. 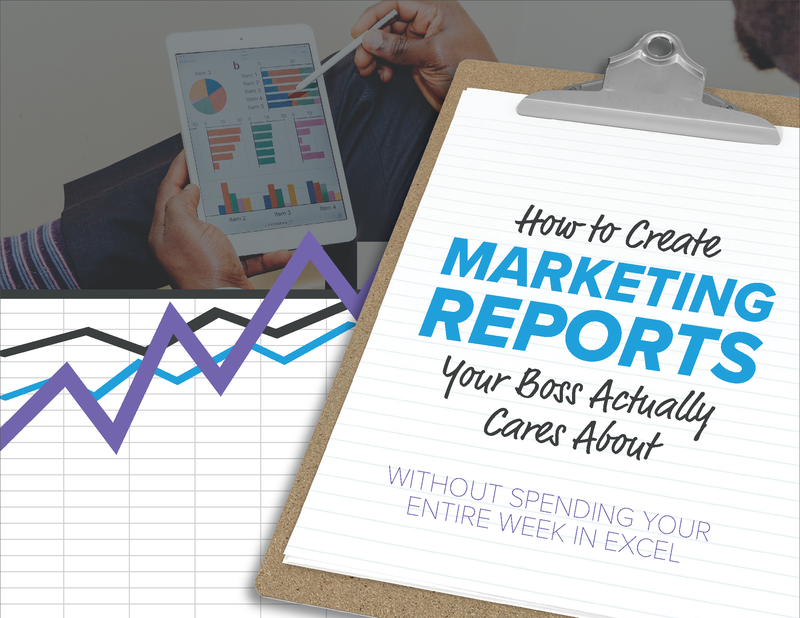 You could spend weeks in Excel trying to get your monthly reports just right and still have missing information. 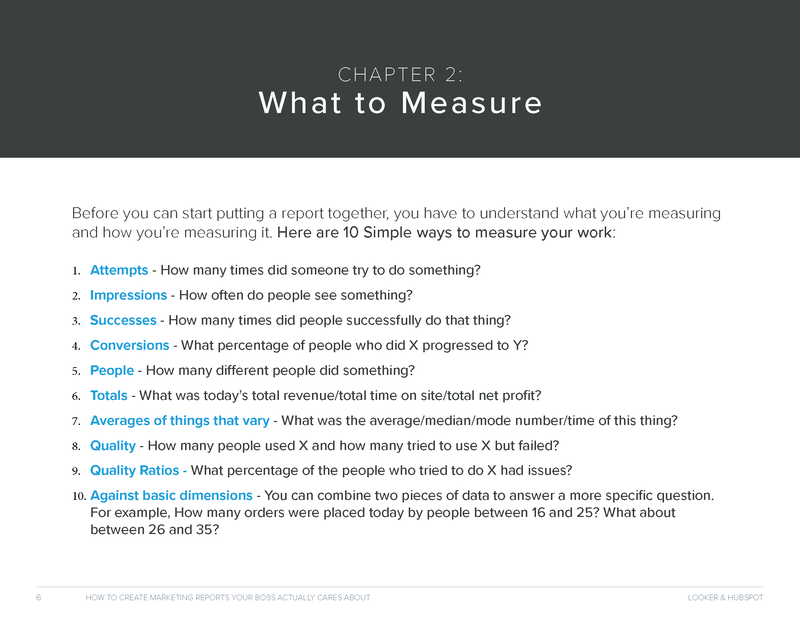 In this guide, we’ll show you the best process, skills, tools, and metrics to use in your marketing reports based on our experience. Before you know it, you’ll have a repeatable framework to use and build on each month. The best part? You’ll impress your boss and pick up valuable career skills in the meantime. Download for free now and get started! By supplying your contact information, you authorize HubSpot and/or Looker to contact you with further information. You further authorize HubSpot to pass your information to Looker for these purposes.